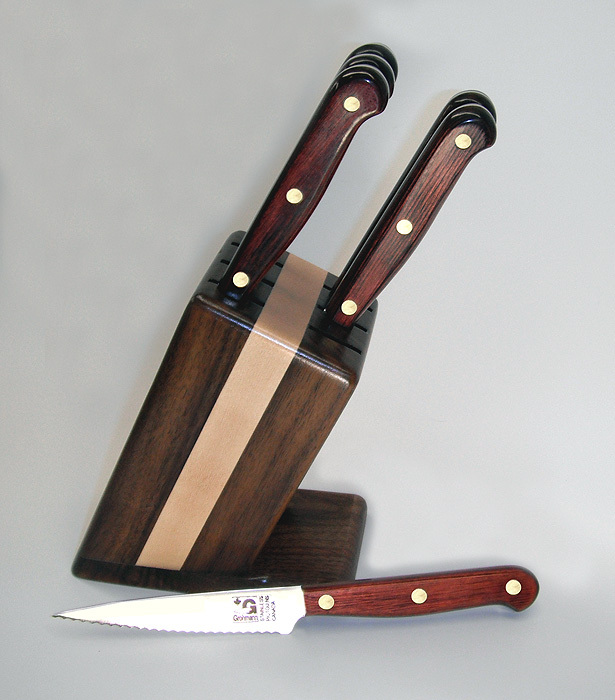 Featuring (6) classic style steak knives (#X202FTW-4) with wine colour water-resistant handles and fully serrated blade. Knives are full tang meaning the steel goes all the way through the handle for added strength. The look of wood but water-resistant! Comes with a 6 slot solid Canadian maple/walnut block (#1444).